We retain our view that any near-term consumption weakness from the mourning period or impending tax hike (to be implemented in Sep 2017) is temporary. Historical evidence shows no prolonged volume impact from excise tax hikes. Instead, there could be margin upside potential if Thaibev raises ASPs beyond the excise tax hike. We also met F&N recently and we like its regional expansion ambitions. This fits in perfectly with Thaibev’s planned transformation into a regional beverage player. Reiterate Add with an unchanged TP of S$1.07. Thaibev’s share price took a beating after its 2QFY17 results disappointed, with net profit falling 23% yoy. However, the share price has somewhat recovered since. We believe these concerns are temporary, if any. A recent grumble we have been hearing is whether the latest excise tax (to be implemented in Sep 2017) will result in weaker volumes. Note that the magnitude and exact details of the new excise tax have yet to be announced. Nonetheless, our analysis of tax hikes on Thaibev’s sales volumes over the last decade shows that tax hikes do not necessarily result in a drop in volumes. Even if they do, volume declines are never sustained over a prolonged period and volumes eventually recover. Instead, the excise hike could have a silver lining in the form of improved margins. We find that previous excise hikes even led to some margin improvement. This is because Thaibev typically tries to take advantage of any excise hikes and raise ASPs beyond the tax hike. Our current assumptions are for spirits gross margins to remain flat in FY17F, which we believe should be easily achieved. In our earlier report, we discussed the merits and our base case assumption of F&N being the entity used to acquire assets outside of Thailand. We recently caught up with F&N’s management, and a key takeaway was that F&N confirmed our view that Thaibev will use F&N to grow the non-Thai business. We like the regional expansion story and expect F&N to be among the bidders for Sabeco, and to also gradually increase its Vinamilk stake (now at 18.74%). New excise tax calculation in Sep 2017 The latest update is that a new excise tax calculation will be implemented from Sep 2017. Apart from the indicated timeline, we also know that the latest excise tax calculation will be changed from wholesale price (i.e. ex-factory price) to retail price. However, the finer details are not yet known and the exact impact is not clear. We understand that management is also awaiting further details from the authorities before it makes any market adjustments (excise hikes are typically passed on to consumers in the form of higher ASPs). Overall, we do not find any concrete data points to support either argument. On the drop in volumes, we do not find strong evidence to suggest that excise hikes necessarily result in a drop in volumes. Over the past 10 years, there have been four excise hikes, of which two hikes were followed by yoy volume declines while the other two hikes did not. Our analysis shows that even if volumes see a negative impact in the immediate 1-2 quarters, these are never sustained over a prolonged period and volumes eventually recover. On the ground, our channel checks indicate that the natural behaviour is for distributors to stock up prior to any potential excise hikes. This makes sense since distributors want to lock in lower prices. Accordingly, we could see a similar uptick in volumes from channel stocking in 3Q/4QFY17. On the drop in margins, the concern is whether the excise tax hike will erode margins. However, we believe this is unlikely. Further, the company typically fully passes on any cost hikes, which we think Thaibev is partly able to do because of its dominant spirits market share (c.90%). In fact, gross margins could even improve as the company typically tries to take advantage of any excise hikes and raise ASPs beyond the excise tax hike. Recap that Thaibev had communicated its intentions to complete the much awaited F&N/FCL corporate restructuring by Sep 2017. As of today, Thaibev still holds c.28% stakes in both F&N and FCL, and details surrounding the exact nature of the restructuring still remain murky. In an earlier report (titled: F&N/FCL restructuring to propel the group into a regional beverage play), we explored several potential outcomes and we retain our view that most likely, Thaibev will first divest FCL and use the proceeds to enlarge its stake in F&N. F&N currently has an 18.74% stake in Vinamilk and has openly declared its intentions to increase this further. However, it will not overpay for Vinamilk in the open market and the ideal scenario would be to buy a bigger stake from SCIC (the state government which still holds a c.36% stake). The timing of such a share sale remains unknown. F&N has also expressed its ambitions and interest in Vietnamese beer assets, primarily Sabeco. The management shared nothing on the potential valuation multiples it is willing to pay. F&N’s latest net gearing stands at c.3%, and it is comfortable to raise this further should there be M&A opportunities. Between Sabeco and Vinamilk, we understand F&N can comfortably acquire either one of the assets but would likely have to tap equity markets if both targets were to become available at the same time. We read F&N’s plans to acquire assets in Vietnam as confirming our base case assumption that Thaibev will use F&N to acquire assets outside of Thailand. Thaibev’s share price took a beating post a weak set of 2QFY17 results where net profit fell 23% yoy. However, share price has since somewhat recovered. 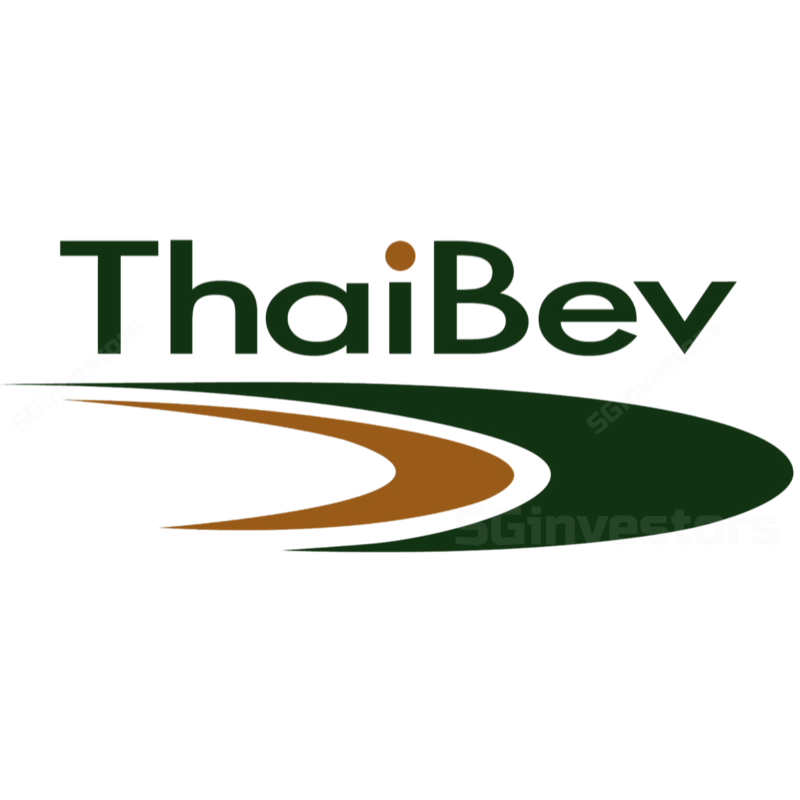 We had always taken the view that Thaibev was merely facing mini headwinds due to the mourning period and we expect consumption to normalise over time. Accordingly, we are not surprised that share price has rebounded. In fact, we will not be overly concerned even if 3QFY17 results are not particularly strong as we believe the slower consumption is only temporary and due to the mourning period. Going forward, we see any pullback in the share price as an opportunity to accumulate. We believe in the group’s long-term transformation into a regional beverage play, and believe this will drive share price outperformance in the long run. In its home market (Thailand), market share gains in beer could also drive the share price. Our SOP-based target price of S$1.07 remains unchanged, with the group’s spirits business still forming the majority (c.70%) of our TP. Risks: weaker margins if excise tax hike is not passed on or weak consumption.